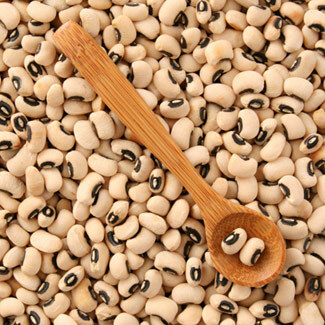 Have you heard of the Southern New Year’s Day tradition of black eyed peas and greens? Well, apparently it is a thing. Usually we were celebrating my sister’s birthday so there wasn’t much time for other random traditions. Now that we’re grown and siblings are moved far apart I feel a strong need to fill that gap in my celebrations calendar. I guess you could say I want to make this soup for my sister…in a weird proxy celebratory way. However, this is a “normal” Southern thing. Don’t worry, I won’t be putting a dime in the pot. Check out About’s summary of the tradition, they even have some common recipes. Some of my hopes for the new year are to try more new recipes. So what better way to start the year? I have wanted to try this recipe for years now and I’m excited to say that I have a few guinea pigs that are willing to eat anything. Big thanks to Jean on her Yikes Money Blog for sharing her recipe. Her recipe inspired me, but as you will notice there are some variations between the two. My plan is to cook the beans in a pot or crock pot before hand and then cook them with the rest of the ingredients later. So I suppose step on is cook the beans. Another part of me wants to dump everything into the crock pot at the same time, but I’m worried the rest of my veggies will get too tender. Saute onions and garlic in olive oil until translucent. Dump all the rest of the ingredients into a crock pot and cook until veggies are tender. Of course, if I start losing time, I will saute the onions and garlic first. Add carrots, tomatoes, celery, seasonings and broth and allow veggies to get tender. Add pre-soaked beans, cook some more. Add kale and ham last. We’ll see how this all goes. I’m hoping to fix gingerbread cookies (for extra spice in 2014?) and cornbread to go with the soup. I am debating getting some cheap sparkling wine for some mimosas. I don’t have a cutesy reason….except maybe that mimosas are amazing. What do you eat special for the new year? Have you ever had Hopping John/black eyed pea soup?